Hillsboro Fire Department and TVF&R responded to a house fire on Thursday, June 7, where one woman died. 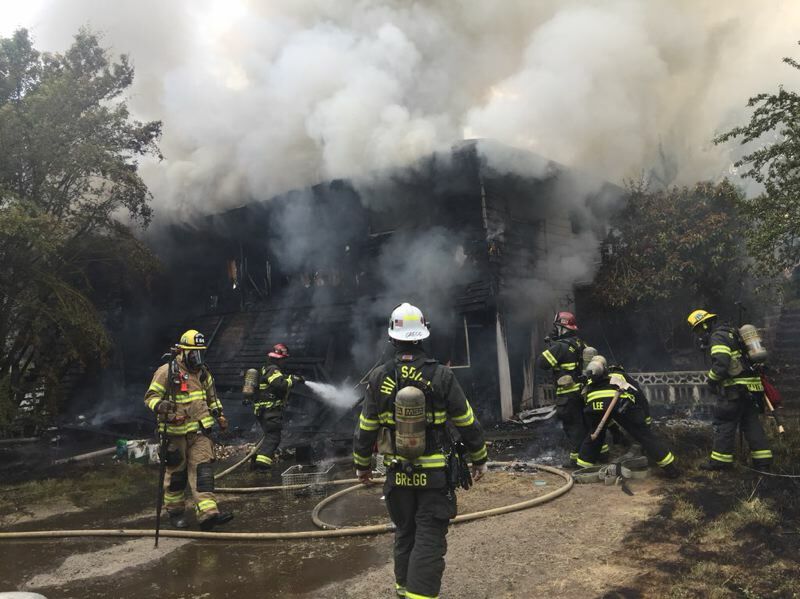 Firefighters with the Hillsboro Fire Department say one person has died in a house fire in Hillsboro on Thursday afternoon. Fire crews were called to a two-story home near Northwest 191st Avenue and Walker Road at about 3:10 p.m., June 7, according to Bruce Montgomery, a spokesman with Hillsboro Fire. First responders found the structure fully engulfed, Montgomery said. "Firefighters quickly connected to a nearby hydrant and had water on the fire within minutes of their arrival," according to a statement from Hillsboro Fire and Rescue. "While attacking the flames, firefighters discovered the deceased elderly, female resident." The person's name has not yet been released. 32 firefighters assisted in fighting the fire from both Hillsboro Fire Department and Tualatin Valley Fire & Rescue, the release stated. The fire was under control within forty minutes of their arrival. This is a breaking news story and will be updated as more details become available. Editor's Note: This story has been updated to note one woman died in the fire and with detail of the fire department's response to the incident.